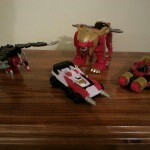 Tokunation.com user and Power Rangers super fan Raz is at it again with comparison photos of the new Power Rangers Super Megaforce zords with their Kaizoku Sentai Gokaiger Gokai Machine counterparts! Of specific focus in these pictures are the SPD Delta Runner zord and the Mystic Force Mystic Dragon zord, but also included are in-hand pictures of the Bandai of America exclusive Zeo Racer Zord! 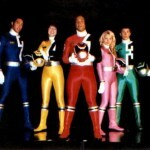 We have some catching up to do with our time off the last few weeks, but we’re back on track with the TokuNation.com User Voted Top 20 Power Rangers of All Time list! 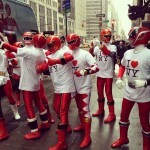 Without skipping a beat, we give you the next entry in our celebration of the 20th Anniversary of Power Rangers! 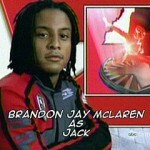 We are pleased to announce that Brandon Jay McLaren, or Jack Landors the SPD Red Ranger, is your choice for 15th Best Power Ranger of All Time! 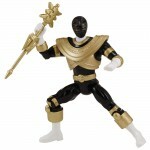 Click the title bar to read all about how this common criminal became the leader of the Power Rangers SPD, including images, and more about Brandon Jay McLaren!